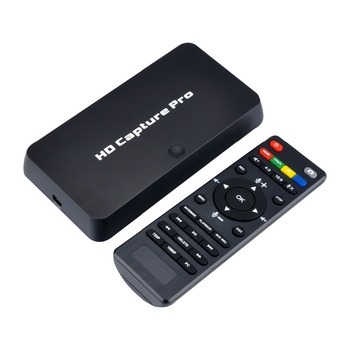 Capture up to 1080P video and save it to USB stick, HDD directly. 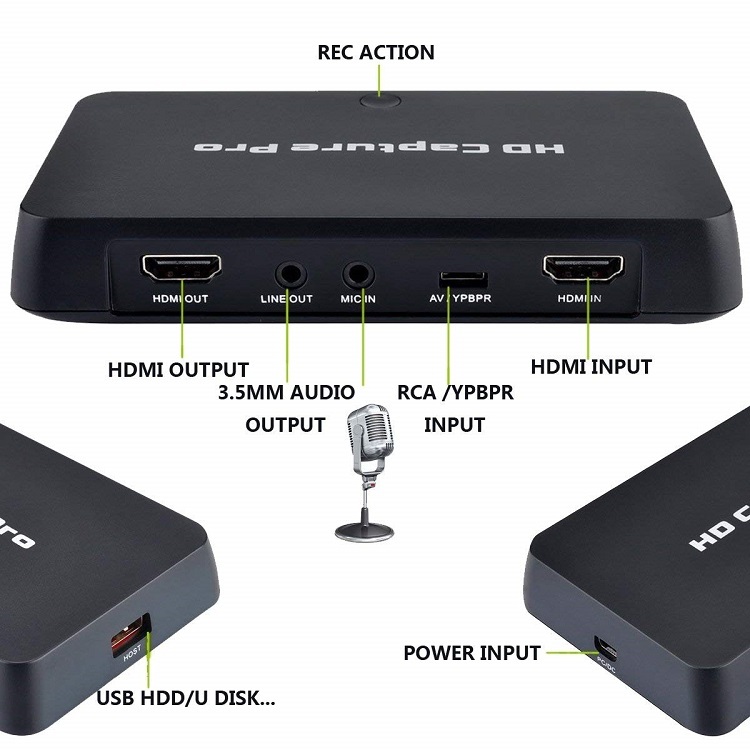 Support HDMI, Component and Composite and Microphone input. 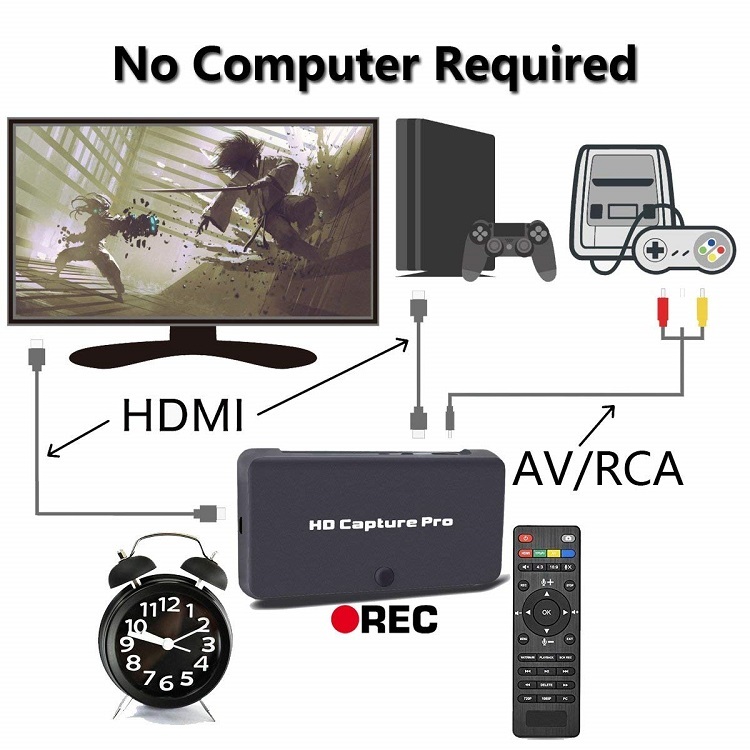 With OSD menu, and operate most functions by remote controller. 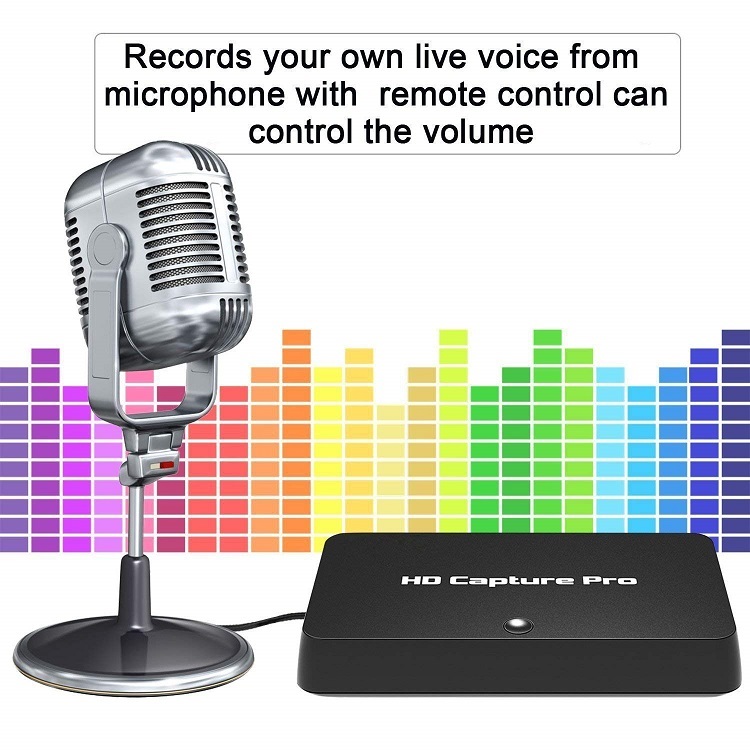 Can change the recording video bitrate-16Mbps/10Mbps/4Mbps to control the file capacity. With playback function, can play the recorded files directly. 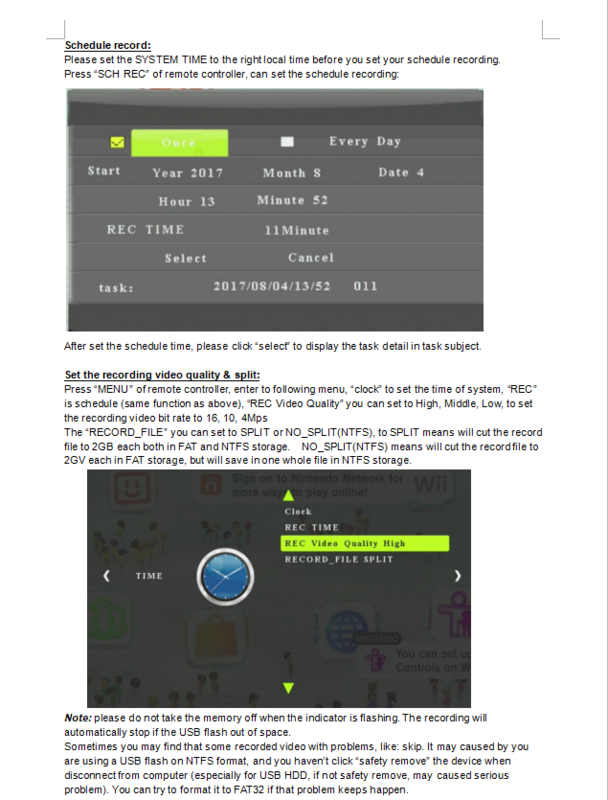 Can add TIME WATERMARK on recording files. 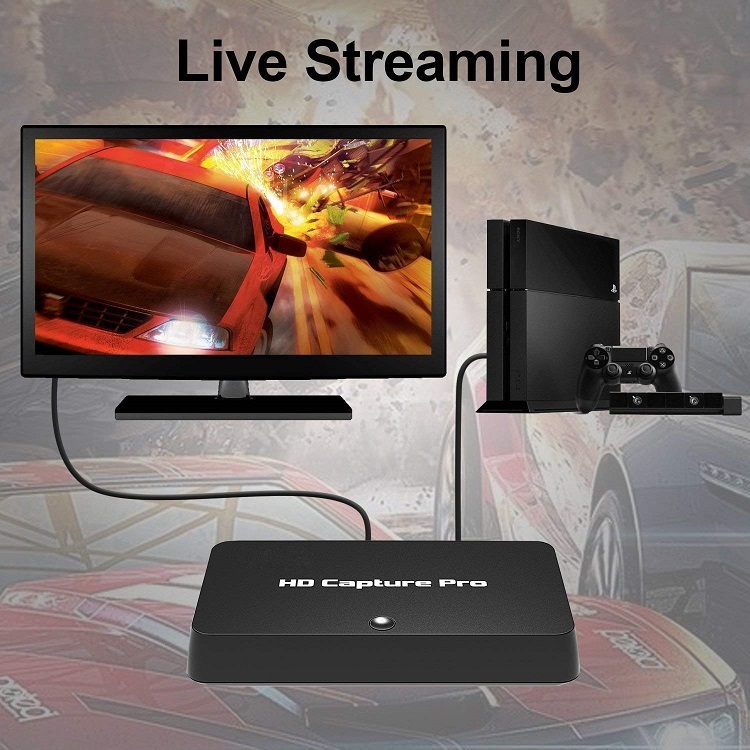 Support connect to computer, with OBS Studio, record and stream videos. Record File Splite: 1.95GB/Per File, Un-Splite depends storage, named with system time. 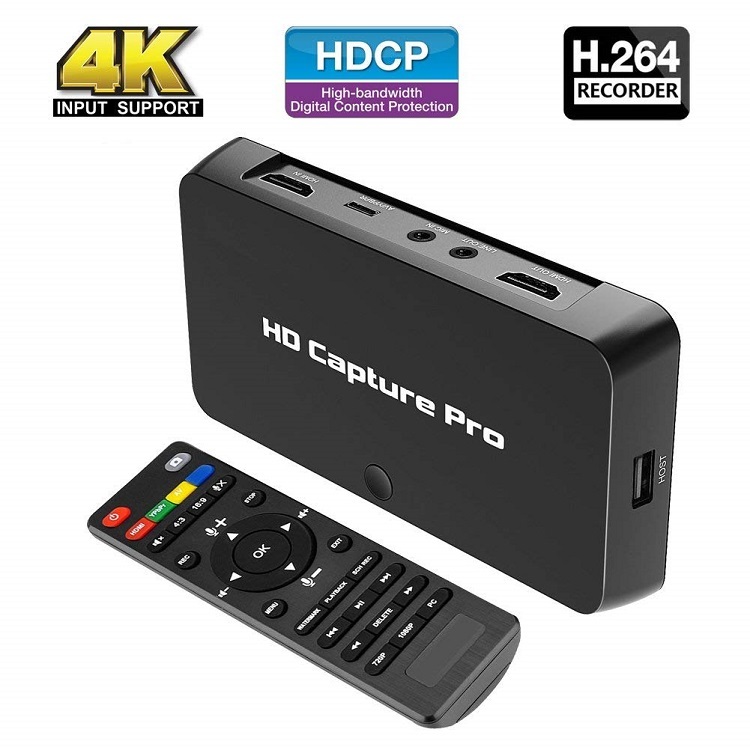 Thanks for purchasing ezcap295 HD Video Capture Pro. 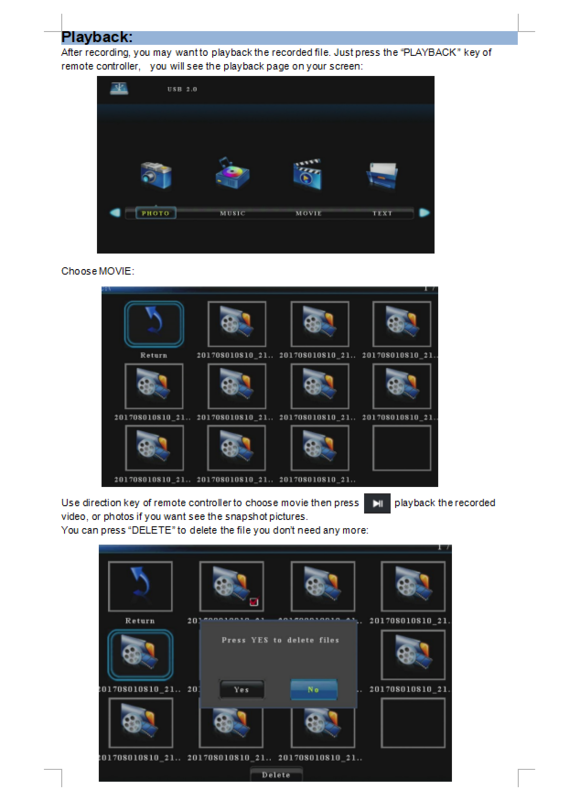 The following guides you how to set up. Hope this device will bring you nice digital experience. 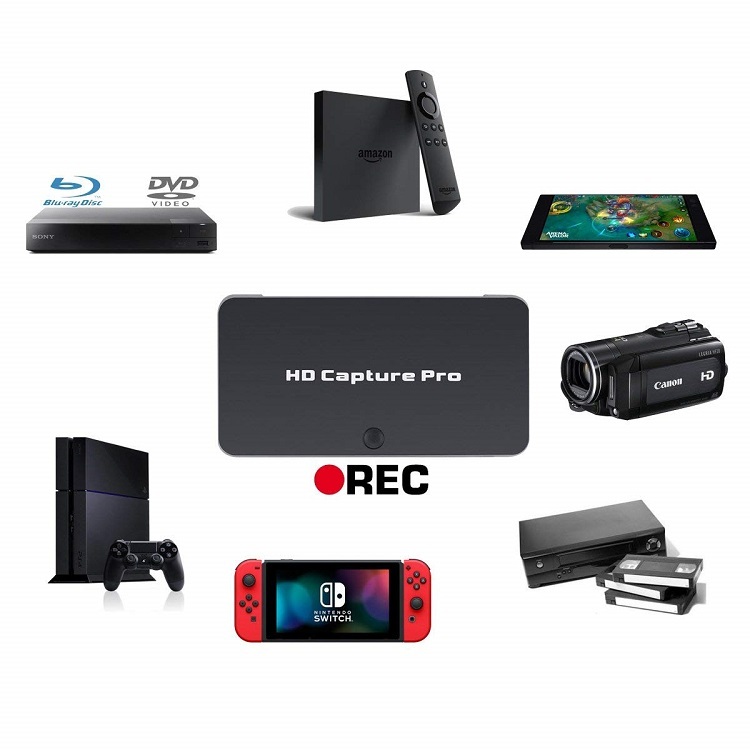 With this ezcap295 HD Video Capture Pro, you can capture up to 1080P video from HDMI ,Ypbpr (component) or composite port, such as blue ray, set-top-box, computer, game box, VHS, etc. 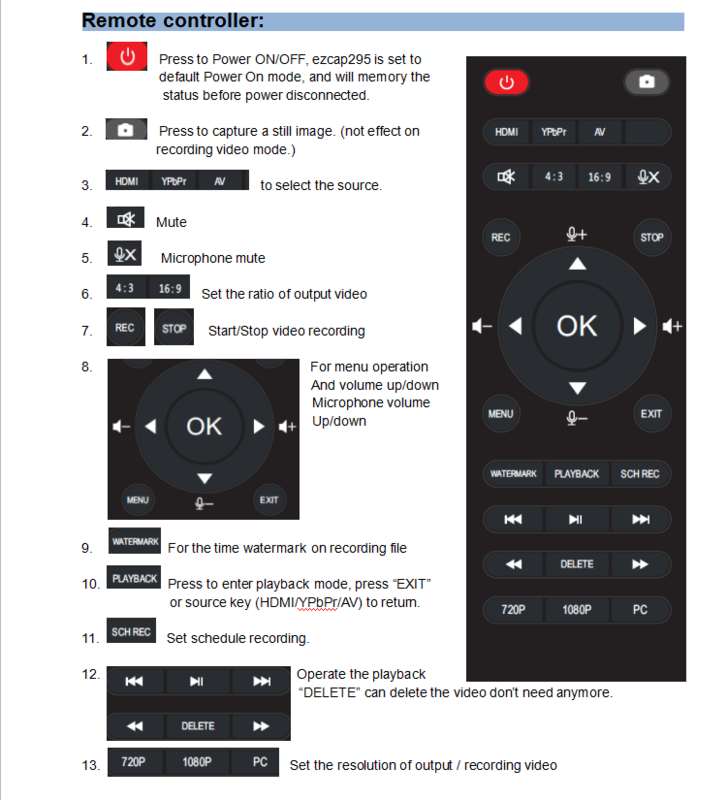 And you can playback the record movie directly. 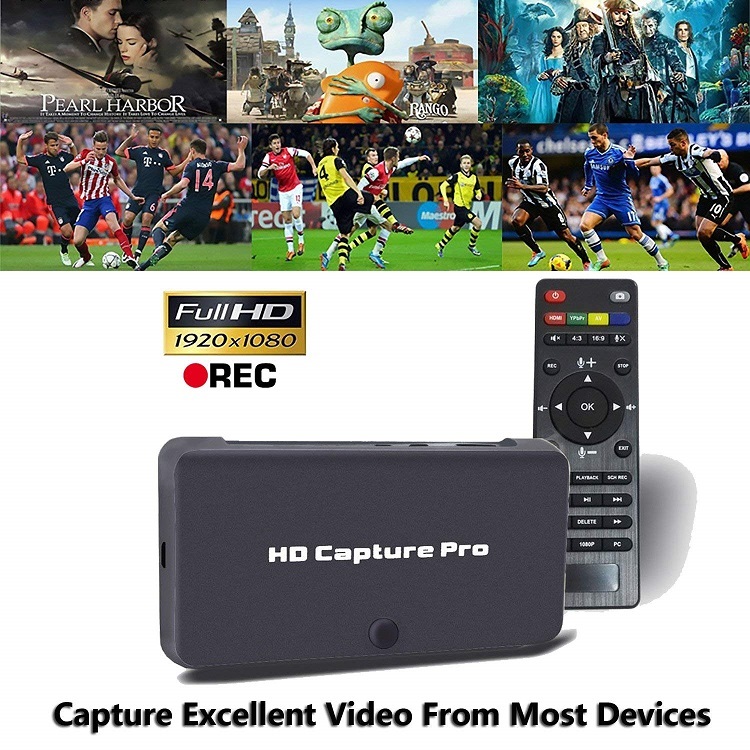 Ezcap295 has record and playback two function in one device, use remote controller to set to playback mode. 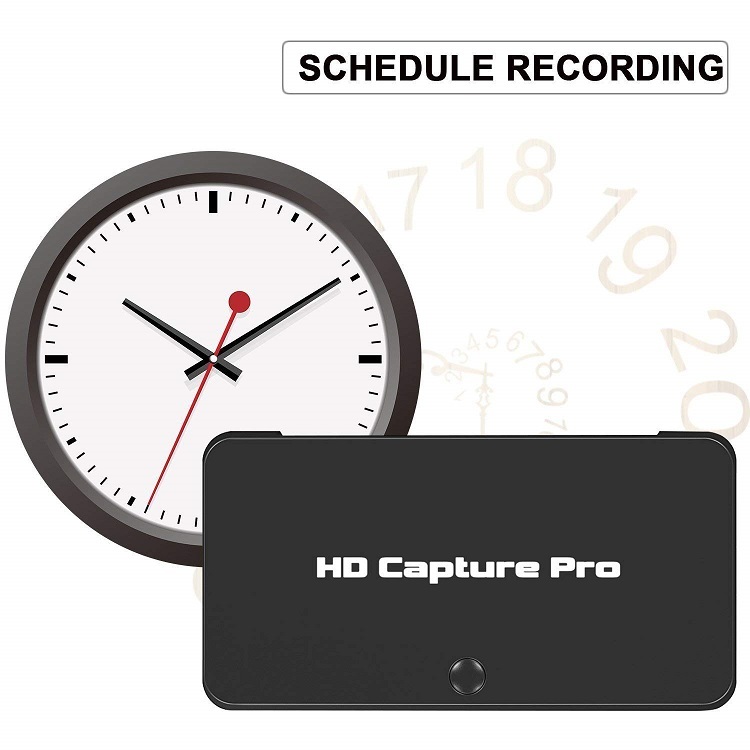 You can also set schedule recording, set recording quality, set split recording file or not. 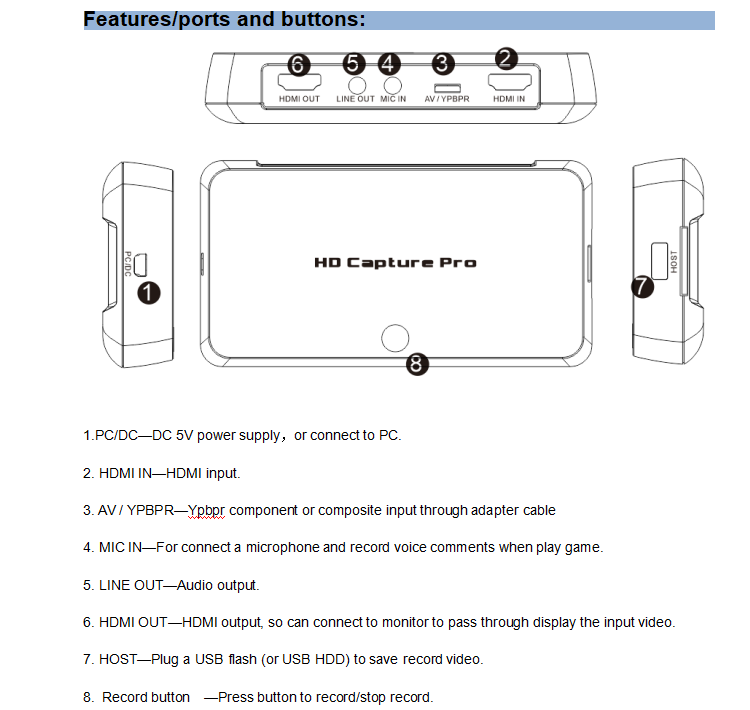 Note: The device include two parts----”record part” and “playback part”, to update the firmware for them separately. 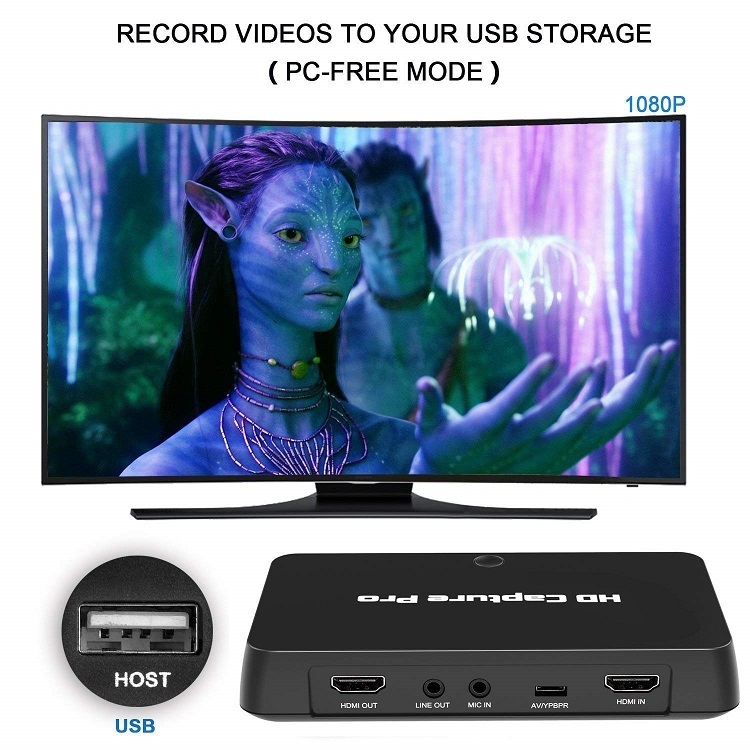 1, Update firmware for “record part”: Copy the firmware file (as jedi.img format) in to USB disk, power off the device (unplug power jack), plug USB disk to device, power on, the red REC indicator will flash 7~8 seconds, it means the update is finished. 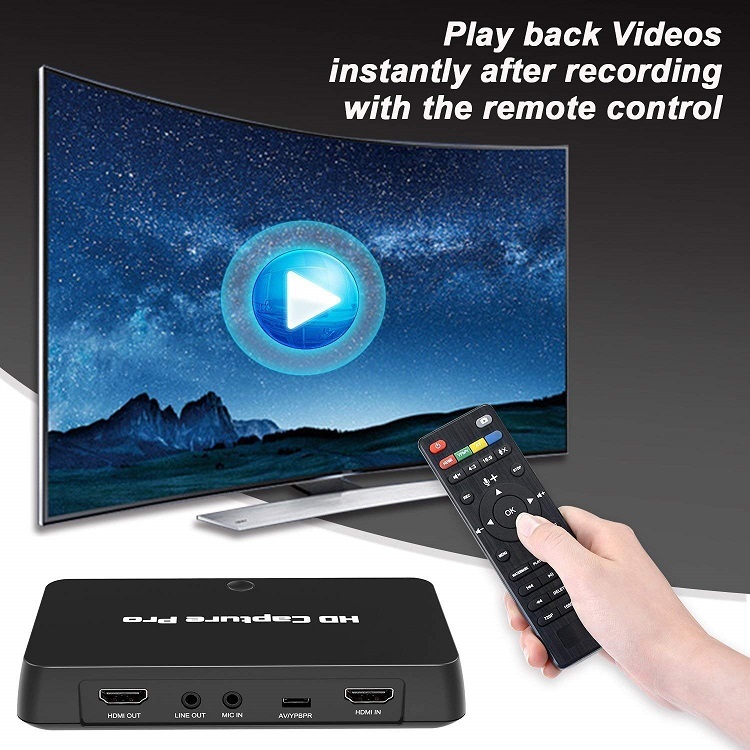 2, Update firmware for “ playback part”: copy the firmware file (as MERGE.bin format) to USB disk, plug the disk to ezcap295, then press “MENU” of remote controller, use direction key, find following: choose and press OK and LEFT direction key to update. Please pull power cable and push it to power on again.